The Glossier founder & CEO is on a mission to democratize beauty. In a new series, VIOLET GREY profiles female beauty entrepreneurs who are considered industry game changers for their individual approach to business. Each one entered the conversation in her own manner and maintained a steady, if not unparalleled, trajectory with her indomitable spirit. Here, we talk to the brilliant founder of Glossier and Into The Gloss, who so successfully harnessed young women’s desire for a new type of beauty. “It was all designed to democratize beauty,” explains Emily Weiss, founder and CEO of Glossier, while discussing her grand mission to deliver beauty to young women. For the legions of women who can’t (or don’t want to) spend $100 on skin cream or who aren’t impressed by mass offerings or who feel that the beauty industry doesn’t speak to them, Glossier, the affordable skincare and makeup brand—that’s actually, you know, cool—has rocked their world. The (coveted) line, with its simple but chic logo—an ornate black G set against a pale pink backdrop—is not only emerging as a millennial favorite, but also impacting the industry’s landscape. Glossier is the child of Into The Gloss, the website Weiss started in 2010 to chronicle what women had in their beauty cabinets. It may sound simple, but there was a time when nobody curated their collections. For most, a bunch of (mostly expired) products took up all the shelf space. But Weiss changed all this, inviting the world into women’s bathrooms to have a look around. As an intern at Teen Vogue, she was obsessed with all types of women and girls, not just the ones who use $80 cream. Into The Gloss was the natural evolution of this, with French beauty enthusiasts given the same treatment as Grace Coddington; Danish hairstylists alongside Downtown It girls. Essentially, it was heaven. The obvious next step was to launch a quasi-unobtainable cream with a vaguely French-sounding name. “People said, ‘If you started Into The Gloss, why wouldn’t you want to create a true luxury brand?’” But even though most of the products touted on Into The Gloss are super high-end, Weiss wasn’t interested in that part of the market. She had something else in mind. 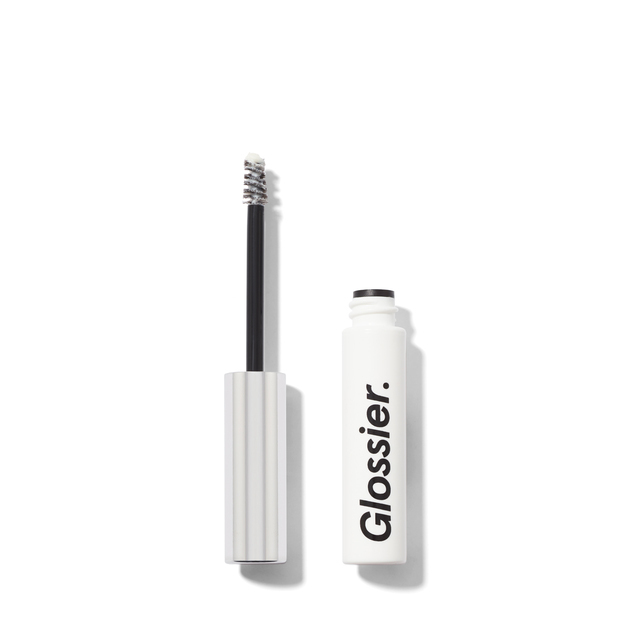 I really see Glossier as the first beauty lifestyle brand. Through Glossier we’re encouraging everyone to build their own TOP SHELF, making active a whole range of women who otherwise were passive beauty consumers. Thus speaks the woman who birthed millennial makeup. Weiss won’t be satisfied until she dominates both the physical and the digital realms. Wherever she goes, her legion of Glossier devotees are sure to go with her. “To me, it’s fluid, we’re adaptive. We launched on Instagram before the brand even went up—that was part of the strategy. We just debuted everything on Instagram, built everything in real time, and then by the time we launched we had about 15,000 followers. And they were excited to purchase.” She makes it all seem so easy, and more than that, honest—the most important thing now for consumers of all ages. “The need for brands as bearers of truth, as arbiters of taste, is kind of a thing of the past,” she says. “I think beauty has become liberated, democratized, and Glossier is just a brand built on those principles.” A beauty manifesto we can all get behind. It's very light and airy with a great view looking downtown. My walls and bedding are white, and there’s usually a pile of 10-15 books beside by bed, ranging from business biographies to meditation. I like to keep the curtains open – natural light is super important to me. It depends on what time I have to be the office in the morning, really, but I like to take my time getting ready. I meditate a bit before I really start my day. Maybe I’ll put on our Moisturizing Moon Mask and read or play with my cat, Chloe, for a bit – she requires a lot of attention. I swear she’s more high maintenance than me! The dream is to eat toast and take three baths a day like Tom Ford though. Yes, on my phone. It’s my least favorite sound in the world, which makes it effective because I immediately jump up to turn it off. As much as possible! But not always possible. Do you drink coffee/tea/ eat breakfast – if so what? I like green tea, or an Americano if I need a little extra energy. When I get into the office, my assistant, Morgan, usually makes me a jar of water with lemon squeezed into it and grabs a chocolate croissant from one of the coffee shops in the area. I used to meet with this fantastic trainer, Key Son, in the morning at the gym in my building, but realized that working out after work helps me de-stress before I go home for the day. I’m a huge fan of Physique 57 & Sky Ting yoga. I’ll wash with Milky Jelly Cleanser, apply a bit of our Priming Moisturizer (rich during the winter, original during the summer), and Balm Dot Com. Most of the time though, I’m trying out submissions for products we’re working on for our product development team. I always wear our Perfecting Skin Tint in Medium instead of a foundation because it’s super light, followed by a bit of loose powder by the Korean skincare brand, Moonshot, Benefit Hoola Bronzer, Glossier Boy Brow in Brown, and then I dab a bit of NARS Satin Lip Pencil in Het Loo on as an eyeshadow. I start by adding Thickening Tonic by Aveda after I shower and then blow dry with the Dyson Supersonic Hair Dryer. If I’m being ambitious, I try to make waves in my hair using a flatiron. Justine Marjan, who is one of my favorite hairstylists in Los Angeles, taught me to do it, and I’m constantly trying to replicate her technique. I’ll respond to the most pressing emails before I even get dressed and then, on my way to work, I usually catch up on any texts/Slack messages/emails/Instagram DMs I received the day before. It’s important to me that I check out any photos that our customers have tagged Glossier in. I try to “like” every single one. Do you have any meetings or calls? I love having breakfast meetings at Sant Ambroeus, in Soho, before I head into the office. On occasion, I will schedule calls in the morning to take from home. Usually I call a Juno around 9:00 a.m. and get into the office around 9:30 a.m., though every day is different. A clear grooming pomade for brows with soft, conditioning hold. Thicken, fill in, and groom brows with just one product. Inspired by hair pomade, this creamy wax formula delivers a soft, flexible hold that doesn’t stiffen or flake for healthy, face-framing brows.